Durban kwaito artist Sosha, whose real name is Sbonelo Benjamin Ngcobo, allegedly beat up a girl until she was in a coma during the weekend. Although the story was not broadly published on mainstream media, it was trending on Twitter on Monday. It is alleged that Sosha beat the girl up because she had been doing drugs at his place against his will. However, many people argue that this does not justify what he did. A number of Twitter users sounded highly incensed by Sosha’s brutal act, saying he should rot in jail. One user said he should get a long jail term because what he did was attempted murder. In a radio interview, Sosha claimed that he only pushed her. 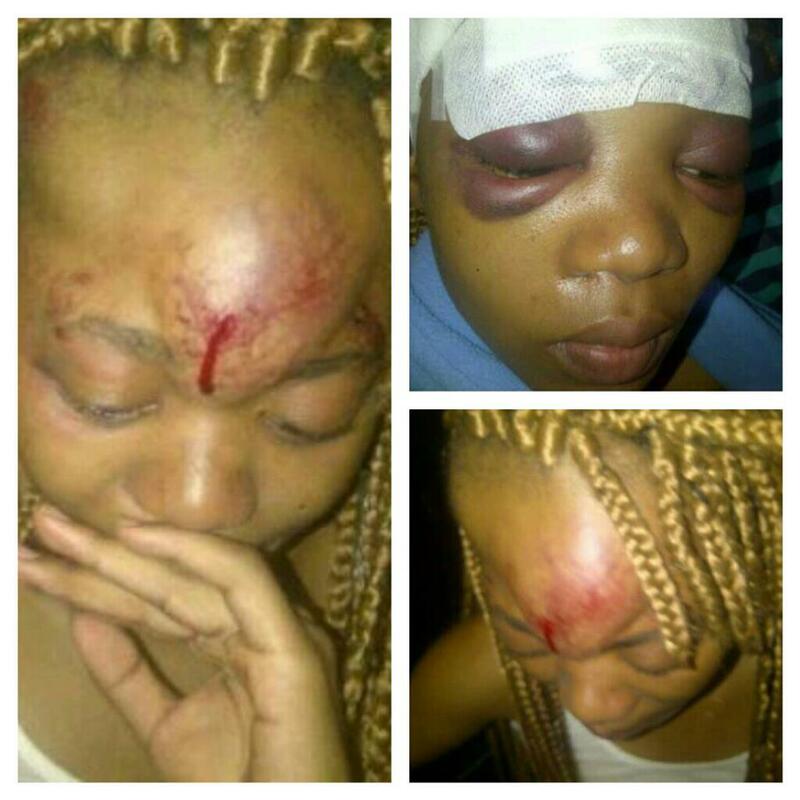 However, the images of the girl’s face show that she was beaten brutally. Apparently Sosha was arrested soon after this incident. At the time of this writing, it was unknown whether he was still in jail or out on bail. Tjo! Some men are animals. He should rot in jail indeed. Oh Lord. What the hell is wrong with South African men? This dude needs to be punished severely for what he did. He could have just taken the girl out of his house and locked the door instead of beating her up like this. I wish I could get a chance to beat him up like this. Damn. Iyasimosha lento yamadoda angamadoda! Aphoxa thina madoda anothando nentshisekelo yokuphila nembokodo! Akaboshwe ak’suye umuntu lowo inunu uqobo! yo sosha dog this ain,t the way dog i forgive for what you did this is total woman abuse you deserve to rot in jail for homie i am sorry man. Jeerrrr wat u did sosha is unacceptable, how can u ruin a beautiful God’s image lyk this?